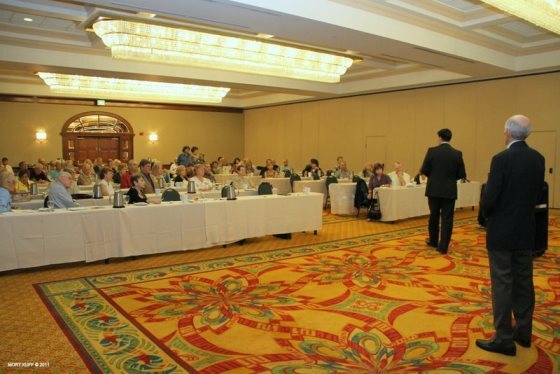 CFNS Members receive frequent national security briefings based upon insider documents. Primarily residing in the realm of "Gray literature," these reports and records are all unclassified, but not generally available anywhere to ordinary citizens. Here are some examples. Over 150 people attended the February 11th CFNS seminar with Catherine Herridge, FOX News National Correspondent on Intelligence and Homeland Security. Lt. Hector J. Delgado, a Navy SEAL team member for over 24 years, drew over 100 attendees on March 11th for a fascinating look inside America's most elite combat unit. EJ Kimball, President of Strategic Engagement Group, Inc., fields questions at his presentation, Shariah Law: What You Need To Know, which CFNS conducted on November 6th of last year. 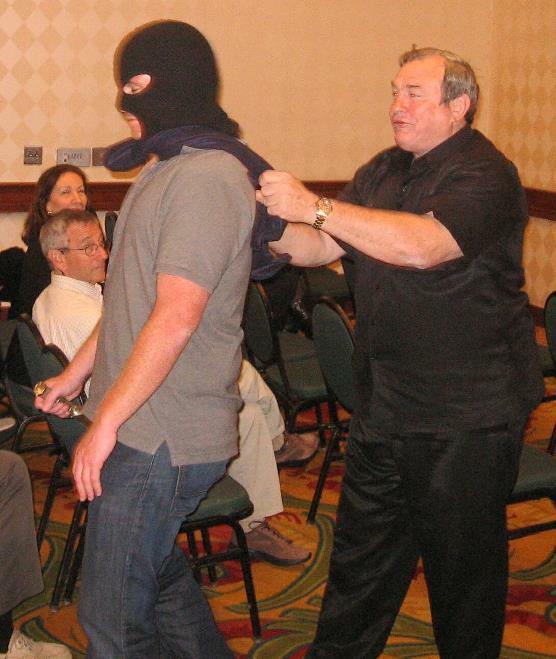 An attendee gets a demonstration of one of many ways you can protect yourself and your family during air travel at a CFNS return presentation by former police officer Walter Philbrick on January 16th. 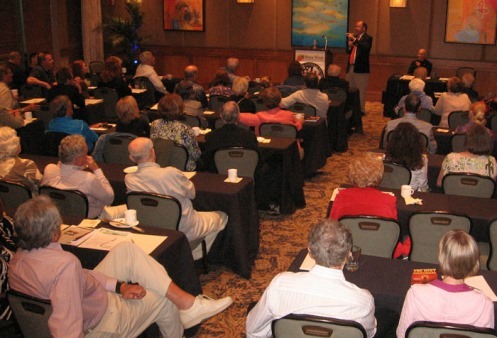 Peter Feaman discusses the dangers of too much "Political Correctness" at CFNS's final Seminar of the season on Sunday, April 29th at Boca West Country Club. Click here for information about the current seminar series. CFNS organizes Task Forces to focus on, or support, the academic community, Congress, the media, and other establishments and professionals where intelligence and national security issues are in play. These Task Forces work in teams drawn from CFNS's citizen members who choose to become active in combating specific dangers posed by radical Islam and other extremist ideologies. They are educated and enabled to undertake research projects that offer enormous resources for individuals and organizations on the ground working daily to resist these threats to our country. CFNS members who have a desire to address civic and other community groups about national security issues receive instruction on substance and style from experienced presenters who possess in-depth knowledge on those subjects. Small classes meet for a series of informal and interactive sessions, in addition to simultaneously reading a few recommended books. In the final phase of the training, participants engage in speaker/audience role-playing based upon presentations created, delivered and critiqued by their classmates. "I read and hear about the Muslim Brotherhood every day in the news. But I feel like I’m not getting the whole story of their threat to us here in the U.S. What can I do?" 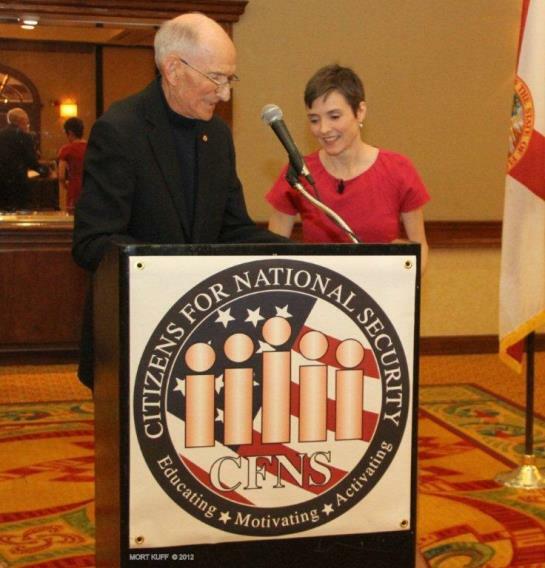 Join Citizens For National Security!